My wife’s mother just recently went to be with the Lord. This isn’t a start of a stupid mother-in-law joke. She was a blessing to our family, and we will miss her this Thanksgiving. 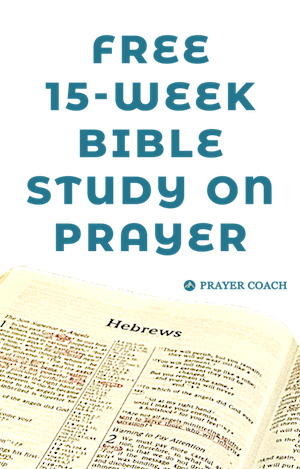 In times like these, how do we apply God’s command to give thanks in all things (1 Thessalonians 5:18)? Where’s the Good in That? In every circumstance in our lives, God intends to use it to draw us closer to Himself. At the same time, the enemy wants to use it to draw us away from God. While the enemy steals, kills, and destroys through his lies, God gives us life abundantly through renewing our minds with His truth (John 10:10, John 8:44 & John 8:31-32). We know that God works all things for the good for us who believe in Him (Romans 8:28). Therefore, if there is any situation where we don’t have hope or life, we don’t have the full measure His truth in that situation. And since no mind conceived what God has prepared for us who love Him (1 Corinthians 2:9-10), we should know that no matter how good we may assume His plans will be we will never think of something better than He is planning to do. He says we will do immeasurably more than we can ask, think, or imagine (Ephesians 3:20). Whatever the circumstance we may face, we can think of the best possible scenario and still fall short of the good God is wanting to do. Therefore our thoughts and prayers can be in preparation for the good instead of the fearful battle opposing the potential bad. Giving thanks in all things doesn’t remove our grief, it positions us to see the goodness of God coming from it. This might sound delusional, but this is what God is asking us to do. Faith is the confidence of those things we hope for (Hebrews 11:1). It is not wishful thinking that God will do such and such, but that confidence that my Heavenly Father will act on my behalf turning this situation into something good. It is the confidence knowing that God is good and I can place my entire life resting in that truth. How Can We Give Thanks in All Things? 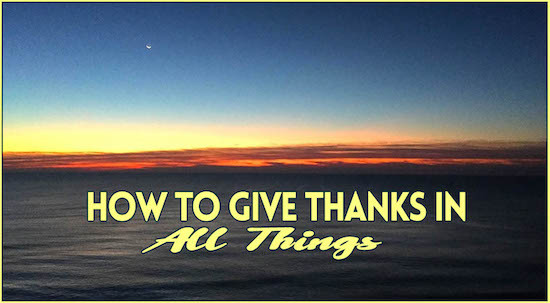 So, how can we give thanks in all things? We can know beyond a shadow of a doubt that the situation that we are in is not the end of our story. God has something coming that is immensely good. And it may never change our circumstance, but it will at least give us a better understanding of who God is and that will forever change us (2 Corinthians 1:8-11). Therefore, let us activate our faith and in whatever circumstance you are, offer joyful thanksgiving to the Lord.